In this edition of the Enforcement Roundup, we highlight four British Columbia Securities Commission (BCSC) panel decisions, one settlement agreement, a temporary order, and a notice of funds received. 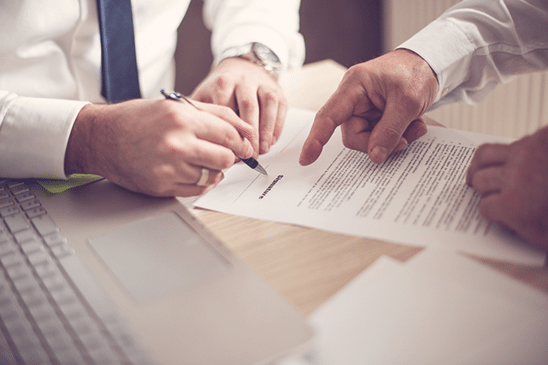 This roundup also includes one settlement agreement from the Investment Industry Regulatory Organization of Canada (IIROC) and a settlement agreement from the Mutual Funder Dealers Association of Canada (MFDA). A BCSC panel permanently banned Lian and Keller for fraud and breaches of cease trade and temporary orders. 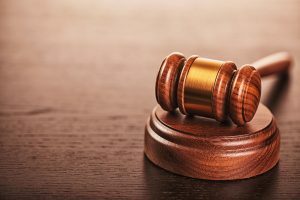 The panel also ordered permanent bans against EagleMark Ventures, LLC, and Falcon Holdings, LLC, for breaching the same cease trade and temporary orders. Keller also engaged in unregistered trading without an exemption. For their misconduct, Lian and Keller are permanently banned from BC’s capital markets and have each been ordered to pay administrative penalties of $2.42 million. Lian has also been ordered to pay a disgorgement order of US$2.4 million. The panel found that YDS Energy, Resources and Humanitarian Relief Corporation, SunCentro, Carswell, Helina, Weiss, Khan, and Kato illegally distributed securities to investors without a prospectus. The panel also found that as directors and officers of SunCentro, Helina and Carswell were liable for all 19 of SunCentro’s illegal distributions in the amount of US$165,500. The panel also found that as directors and officers of YDS, Kato and Khan were each liable for all 19 of YDS’s illegal distributions in the amount of US$165,500. The panel also dismissed some allegations of illegal distributions against certain of the respondents on the basis that those respondents had a due diligence defence to those allegations. As a result of this misconduct, the panel permanently ceased-traded SunCentro securities and permanently prohibited SunCentro from purchasing or trading any securities or exchange contracts. The company must also pay a penalty of US$165,000. YDS Energy is subject to various market bans, and must pay disgorgement orders of US$4,020 and $11,755. Carswell, Helina, Kato, Khan, and Weiss are subject to various market bans that are outlined in the news release. Siu Mui “Debbie” Wong, Siu Kon “Bonnie” Soo, Wheatland Industrial Park Inc., 1300302 Alberta Inc, and D&E Arctic Investments Inc.
A BCSC panel has permanently banned Wong and Soo from BC’s capital markets for illegal distributions and acts of fraud. The panel ordered permanent bans against two joint venture companies, 1300302 and D&E Arctic, for illegal distributions. The panel declined to make market bans against Wheatland as the company is no longer directed or controlled by Wong and Soo.Wong and Soo were eached ordered to pay $6 million in administrative penalities. Wong, Soo must also pay disgorgement orders totaling $9,857,850 with joint and several liability. D&E Arctic and 1300302 are liable for portions of that disgorgement. Brendan James Schouw and Hornby Residences, Ltd.
A BCSC panel has found that Brendan James Schouw and Hornby Residences Ltd. perpetrated fraud on an investor. The panel also found that as Hornby’s sole director and officer, Schouw permitted or acquiesced to Hornby’s misconduct and is thus liable for Hornby’s fraud. The panel directed the parties to make submissions on sanctions according to the schedule set out in the findings, which can be viewed in the findings document in the hearing file. A BCSC panel found that Cerisse made false or misleading statements to BCSC investigators. In the same decision, the panel dismissed allegations of misrepresentation, market manipulation, and illegal distribution against Cerisse and two other B.C. residents, Laurence (a.k.a. Lawrence) Frederick Austin, and Thomas John Sadler. The panel directed Cerisse and the Executive Director to make submissions on sanctions according to the schedule set out in the findings. You can read more in the hearing file. In a settlement agreement with the BCSC, Dancho admitted to breaching the Securities Act by signing promissory notes for investments to which no exemptions applied. For her misconduct, Dancho is subject to various permanent market bans. She also agreed to pay $70,000 to the BCSC. On February 7, 2017, the BCSC’s Executive Director issued a temporary order to allow staff to complete an investigation into whether 13 people and nine companies have violated securities legislation. The respondents have raised approximately $36 million from over 300 investors. The order prohibits all the respondents from trading in any securities with limited exceptions. In addition, all securities of the FS Strategies and related companies have been cease traded. According to the order, Lim and Low are founding directors of FS Financial Strategies Inc. The BCSC received $120,000 pursuant to an order a panel issued against Ayaz Dhanani on December 16, 2016. The BCSC must make money it receives from this order available to eligible applicants who lost money as a direct result of Dhanani’s misconduct. Investors can make a claim to the BCSC using the required form no later than February 23, 2020. Find out how to make a claim in the news release. 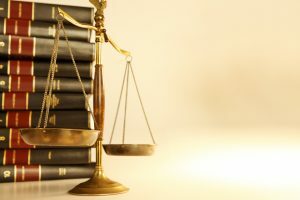 In the settlement agreement, McCullough admitted that he accepted a gift in the order of $750,000 from a client without the knowledge or consent of his dealer member firm and that he failed to report he had been served with a Notice of Civil Claim related to his dealings with that client. McCullough agreed to an $80,000 fine and suspension from any registration with IIROC for five years. He also agreed to pay costs of $5,000. In the settlement agreement, Lemay admitted to breaching various MFDA rules when making recommendations to at least 142 clients regarding their investment holdings in precious metals sector funds. He also admitted, among other things, to failing to fully explain the risks and benefits of investing in the precious metals sector. As a consequence, Lemay agreed to a permanent prohibition from conducting securities related business while in the employ of or association with any MFDA member, pay a fine of $5,000, and pay $2,500 in costs.